Connecticut car accident law. Know the law. Know your rights. Attorney Ryan McKeen became a personal injury attorney because he was the victim of a car crash. His car was totaled by someone not paying attention. He was hurt. He knows what his clients go through. The noise of the crash. The suddenness. The anxiety of getting behind the wheel again. The pain. Not being able to sleep. And he knows about the insurance companies. And how they mistreat folks injured through no fault of their own. CT Car accident law by Car accident attorney Ryan McKeen. “Ninety-four percent of crashes can be tied back to a human choice or error.” We want to see this number reduced then eliminated. Holding drivers accountable for their choices is our way to contribute to a world where no one is hurt or killed in a motor vehicle crash. Traffic fatalities from preventable causes are on the rise all across the U.S. In 2015, 35,092 people died on the nation’s roadways, according to the National Highway Traffic Safety Administration, an increase of 7.2 percent compared to 2014. The trend continues this year, with NHTSA estimating 17,775 traffic fatalities in the first six month of 2016. That’s up 10.4 percent compared to the 16,100 killed on roads in the same period last year. 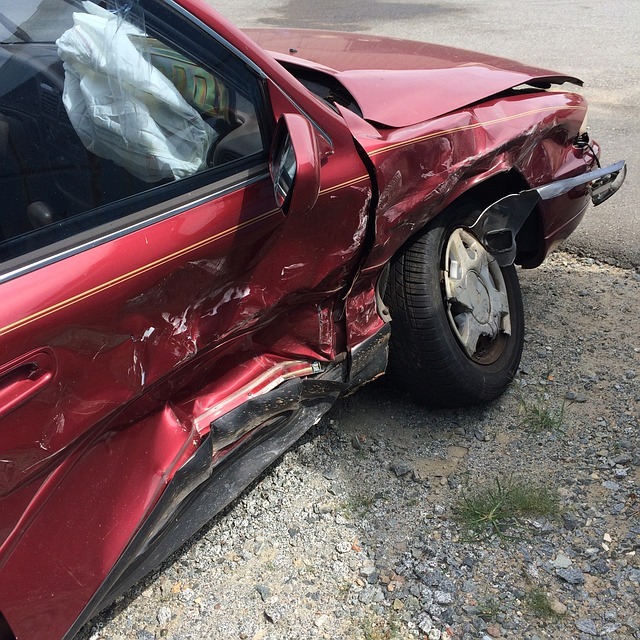 Here are some posts to help empower you if you have been in a car wreck. If you would like a free evaluation of your case contact CT Personal Injury Hall of Fame Finalist Attorney Ryan McKeen at 860 471 8333. I was in a car accident. The other person’s insurance company claims they have “accepted responsibility”. And they want me to sign releases. They want me to sign a release giving them access to my medical records. And they want me to sign a release saying I won’t sue them. I’m not a lawsuit happy person. I just want what is fair. And the insurance company tells me that if I hire a lawyer I will get less money because the lawyer will take a fee. I’d like to talk with a lawyer. I have no idea if what they are offering me is fair. And I certainly don’t want to give a third of what the insurance company is offering to the lawyer. Then I would have less money. Empower yourself here. A car accident shattered my world. I was driving along in a car that I loved. A car that I owned. One that worked fine. And suddenly it was mangled and undriveable. The body shop guy said it was “totaled”. I no longer had a car. The car rental company wanted to put me in a vehicle that I was not comfortable driving. One much smaller than the vehicle I owned. And the anxiety I had while driving was overwhelming. A much smaller car made me very uncomfortable. Learn your rights here. Even with health insurance car accident victims find that themselves facing significant hospital and doctors bills – deductibles, copays or even the full bill. The notices pile up. The calls keep coming. They threaten to report you to credit bureaus. They may even sue you. You have suffered an injury and now you are suffering injustice. Get help here. Who wants to buy a car that has been in a wreck? I mean someone will. But no one is interested in paying full value for the car. They’ll want a discount of some sort. So you’re in a car wreck. The shop is doing repairs. Maybe they have even given you a decent rental car. The person who hit you’s insurance company is paying for the repairs. Should the insurance company in Connecticut have to pay for your car’s loss of value? The answer is they do. Learn your rights here. Do I Have To Pay Copays? Your car is damaged. You need a rental car. You are in pain and can’t work. Suddenly doing simple things like grocery shopping are a challenge. And then there’s copays. Learn about your rights concerning copays after an accident here. If you need help with copays to get you treatment this is a post for you. That brown dog. The jerk. The brown dog is all over the pages of deposition transcripts. He’s always brown. Usually about 40 pounds. His breed is unclear. He’s possibly part lab, maybe some terrier, we’re not really sure. Whatever he looks like he’s the bigfoot of the car accident defense world. Here’s the Connecticut Personal Injury Vault’s take on what to do when the other driver says a dog caused the car accident. What is reckless driving? Connecticut law provides that no person shall operate any motor vehicle upon any public highway of the state recklessly, having regard to the width, traffic and use of such highway, the intersection of streets and the weather conditions. Do you have a personal injury claim for recklessness? Was the person operating a motor vehicle recklessly when that person does so knowing or having reason to know of facts that create a high degree of risk of physical harm to another and deliberately proceeds to act in conscious disregard of, or with indifference to, that risk? If you may have a Connecticut personal injury claim for recklessness read about the other 3 factors here. You are driving along. You are doing the right thing. Another driver chooses not to pay attention. Suddenly your life has changed. The change can range from anything to a nuisance if you are fortunate to life altering if you are not. I know when I was in a car accident, the first thing I did was tell the EMTs I was fine. I didn’t need an ambulance. Hours later I was in the ER in severe pain. Pain that would last for days. car accident We’re often asked “what do I do?” Put yourself first. Economic v. non-economic damages – that’s lawyer speak. It all hurts. One of the questions we’re often asked is “how much is a fair settlement for my case” or “how much is my case worth?” In order to answer that question we have to look at what the law can award for damages. In Connecticut, plaintiff’s can be compensated for both “economic” and “non-economic” damages. What is the difference? Your car is damaged. Or your car is totaled. We’re here to help make sure the insurance company promptly pays you full value for your loss. And when we do so, we hand the whole check over to you. Read your fee agreement with your lawyer carefully. Read my policy here. Can a spouse recover as an independent claim under an auto policy? This post discusses the relationship between loss of consortium and car insurance. This question is a very important one. I see this issue arising more and more in my cases. If you or your spouse has been injured in a car accident get informed about your rights here. Drivers without insurance cause car accidents. Click here to learn about your rights. Arm yourself with the knowledge you need to make an underinsured motorist claim. One of the worst conversations that I have with someone who has been severely injured is telling them the person who harmed them has a minimum policy. I wish lawmakers had to tell folks with tens or hundreds of thousands of dollars that the most they’ll receive from the person who wronged them is $20,000. And all of that money will go to repay medical bills. Learn about Connecticut Auto Insurance minimums here. Contact me to empower yourself with knowledge about what to do in this terrible situation. Schedule A Call With An Intake Specialist. We will call you. Please provide us with your name an phone number. be kind. This site is legal advertising. It is not legal advice. This site is maintained by Connecticut Personal Injury Attorney Ryan McKeen who is solely responsible for its content. Reading this site does not create an attorney-client relationship. No legal advice is given on this site. I am only licensed in Connecticut. If you would like me to evaluate your case please contact me at ryan@cttrialfirm.com or call me at 860 471 8333.